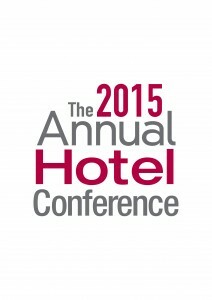 Which hospitality events will you be attending? It’s that time of year where the hospitality industry hosts many events. First off is the Annual Hotel Conference on 14 and 15th October held in Manchester which is the UK's leading conference for individual, boutique, branded and consortium hotel owners, operators and managers. Guestline will be there and we would love to meet up if you too are attending, you can contact us here and we will contact you back to arrange a time to suit. Following this conference, the Independent Hotel Show arrives on the 20th – 21st October in London which presents the latest trends, ideas and expert advice, networking opportunities as well as top suppliers, service providers, designers, luxury products and brands in the industry – creating an event specifically tailored to the owners, operators and key decision-makers in this niche sector. Then we move on to the serviced apartment and extended stay sector which sees ASAP – the Association of Serviced Apartment Providers host the annual Serviced Apartment Conference and Exhibition on the 3rd December at ETC Venues in St Paul’s, London. ASAP'S well established annual conference, provides a unique opportunity for you to debate key issues for the serviced apartment sector and meet with over 250 ASAP member employee delegates and over 30 sponsors/exhibitors.